Q: Saw this on BoBeats YouTube channel. Can't wait to sample into my Digitakt! Q: Do the headphone out's also serve as line out's to be fed into an audio interface, and thus into a DAW for recording and further manipulation/looping/editing? A: Yes, the outputs are capable of driving low and high impedance loads - from 16-64 Ohm headphones to 10k Ohm line-level inputs. Q: I want to run my violin through this! A: Great idea! Never tried it, but if it works with guitar perhaps it will work with violin. The input takes quite a broad range of voltages - from piezoceramic or electromagnetic pickups to line-level sources. Input gain can be controlled digitally. Q: Do you have a spec on the line input. Like the input sensitivity in dB. Is it mono or stereo line in. Also does the DAC have a frequency response? A: Input is stereo, with LMV324 pre-amp and it is using MCU's internal ADCs which are 12-bit only (that's why I call it a "lo-fi in, hi-fi out" machine). Op-amp's gain is controlled by two 1M trimmers, and out of the factory set to the middle of the range. Not sure about how to express this in dB to be honest, haven't done necessary calculations yet. The DAC is CS43L22, same as on STM32F4 Discovery boards, but I am thinking of replacing it with TLV320AIC3104 in the upgraded version, so we can have 16-bit inputs and proper line-in (already tested it on some of the prototypes and it works very well). More info about architecture and also the schematic is here. The DAC is running at 22.050kHz in most channels (a trade-off between sampling rate and polyphony), but can go up to 96kHz. New DAC will have the same range. You can find details about the frequency response in linked datasheets. Q: Do you ship to [a country]? How much is the cost with shipping? 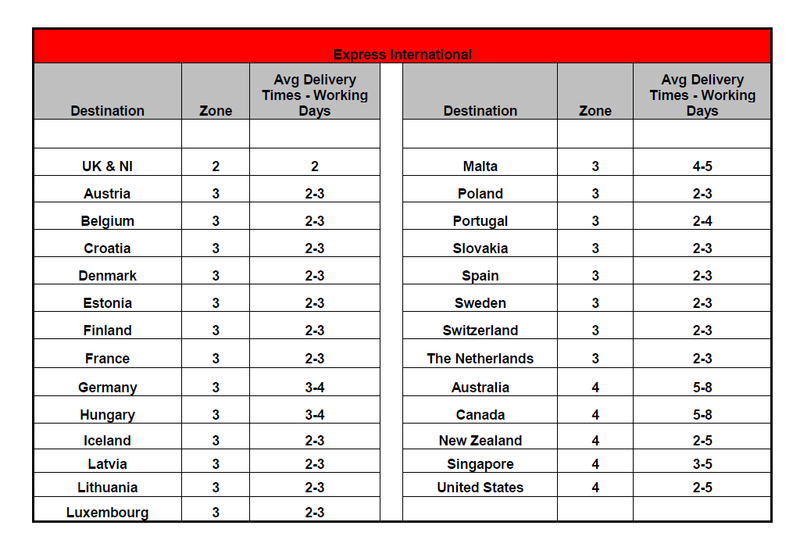 Q: How long to ship to [a country]? Q: Would they be available in [a country]? A: As long as it is not blacklisted, yes. It's illegal to ship Gechos into some countries as the CPU is powerful enough to drive an ICBM. No kidding. Q: Do you deliver to Europe? Q: From where do they arrive? A: They arrive from Ireland, and Europe is no problem - no customs, and very quick. Q: What would the taxes be for someone buying a kit in the US? A: Sorry I don't know (neither for any other country). Please check with your local authorities. Parcels are shipped via ost office, no couriers - sometimes the customs do not intercept. But nothing can be guaranteed. Q: Whats the price with shipping to the [country] in [our local currency]? A: Our website only accepts payments in Euros (enabling other currencies brings a whole lot of technical issues). The exchange will be carried out by your credit/debit card issuer, please look up today's rates to get the idea. There might be a processing fee on top of that. If you wish to use bank transfer, we can agree on amount in your currency via e-mail up front. Q: How soon is availability on Amazon? Q: Do you have plans for dealers? A: No plans right now. It's the same amount of work for me to ship to them as to you directly. Although I am looking at working with one distributor in USA, it might make things easier for you there (payments in USD, no customs and getting it quicker). Q: Is there any manual of how to solder it? A: Sure, it's here and also check out the rest of the resources. Q: Would adding MIDI be a complicated deal (have no experience in electronics)? A: It requires assembling some 0603 SMD components and an IC. They are at the edge of the board, so not many things around to damage, but using a practice board first is a good idea. If you want to get into DIY electronics, this might be a motivating challenge. Otherwise it's better to wait for the next production run that will have MIDI assembled, and probably a 3.5mm connector for break-out cable. Q: So I would need to hack for midiout? A: Current version - yes, the guide is here. Q: These are very cool looking kits, and I would love the chance to assemble and play with one! A: Cool! That's why I am not giving up supplying DIY kits, although they don't make too much sense economically (it takes almost the same time to pack them as to mount, and often they are even harder to program and test). Q: Are all the components added in the #3 kit, or do I still have to scramble some parts from an electronics dealer? A: Recently these kits were packed with absolutely everything necessary, but not updating website just yet in case there won't be time to do this in future. The remaining components are only required in very small quantities and you should have no problem finding them in a universal SMD kit from eBay. It's a good thing to have at hand anyway. A: Sorry, none at the moment. Master kit can take days to weeks to complete, plus there are various ways how to solder it (not only for passive components but those finer IC packages too). I am in no way expert to teach you the best practices, there is plenty of great videos on Youtube. Q: How can i buy it with the midi connections already on and no box? A: Next batch will definitely have MIDI assembled straight out of the factory (no way I am soldering one more damn opto-coupler :) The no-box option will be available too. Currently it isn't as equal number of boxes and boards were made, but in future we can plan this according to actual demand. A: As long as "adept" kits last, MIDI bits can be added in the order form (SMD elements and a pair of DIN5 connectors, hope you can source the wires for cables easily, also decide what kind of "break-out" connectors works best for you). Q: Saw the BoBeats video. It looks like a great go anywhere device. I would love to get one. Q: I really into the portability of musical devices and this has my mind firing on all cylinders. Q: I love to play outdoors with a battery powered speaker. A: Yes it is great to take it outdoors, it works best in not too loud areas (unless you plug a good noise cancelling headphones). Forest with birds is probably most interesting. Plugging into a loudspeaker will cause feedback loop, but after some experimenting owners were able to set it up to their satisfaction. Q: Can I reserve one? Q: I'd be glad to pay a deposit. Q: How can I preorder this piece of insanity? Q: It looks really cool, and I'm sad I missed the Kickstarter! Q: I'm excited to order one and be a part of your exploration into sound! Q: Will there be new versions with additional features? Q: Could tell me the difference between the used wood for the sound ? A: There is no difference. It's actually the same wood, just finish or paint is different. Q: Are you working on a product that can be controlled via bluetooth keyboard? A: Not right now, only the good wavelengths are allowed in Gecho ;) One of the prototypes uses ESP32 which has BT and WiFi peripheral; however, FCC / CE certification of such device is a lot more expensive than if it is just an "unintentional radiator". We could build such synth and leave those features unimplemented, so you can hack it and make it work the way you want. I felt that wireless is not really useful here, but might be cool for a DIY project. Q: will there be a Mac app to do the firmware update? Q: Is the Mac compatibility planned this year ? A: Unfortunately I can't promise anything right now because I am not familiar the platform - it is one of the very few things that is not in my power to do in the scope of this project, so it needs to be outsourced. If the user base grows and there is funds for it, then by all means - support for other platforms (Mac and Linux) will happen. For now, Mac users have been successfully updating the firmware using Gecho app in Windows running in a virtual machine, also there is a way how to do it with a Python script. Hope this works for you. Q: Are YOU a human or a robot? Q: What should I do for a living when I grow up? A: You should become a hardware engineer. But only if you can grow up quickly. Machines will obsoletize us soon. But we need to build them first. That could be your job. A: I'm sure it can put you into an alpha state or such. Prolonged use also causes auditory hallucinations, significant loss of time and elevated mood for no apparent reason. Quite like a dream. Q: Have fun with building new devices. Q: Awesome! Please make more! Q: Do you still make these? Q: Please make more like Doritos! A: Working on it! As for emailing, will do on regular basis. However, Internet overlords haven't yet acknowledged this website for a legitimate source of emails - if you don't receive anything in a while, maybe peek into the "spam" folder. A: Yay! This one turned out very well. But every time I add a new channel, it feels like it's more fun than all existing ones. A: MFG IS A GO. HDSHK. WE TX. U RX. LOADZ FUN. KTHXBYE! Captcha: Obviously a robot phshh, who isn't?? Want to ask a question too? The best way is to subscribe for the newsletter and leave a comment here or here.